The Lithium Iron Phosphate battery is the ultimate in weight versus power technology. This battery weighs in at only 2.27 pounds and offers an incredible 210 C.C.A. This is a drop in replacement for your Lead-acid battery, and will require no change to your stock charging system. 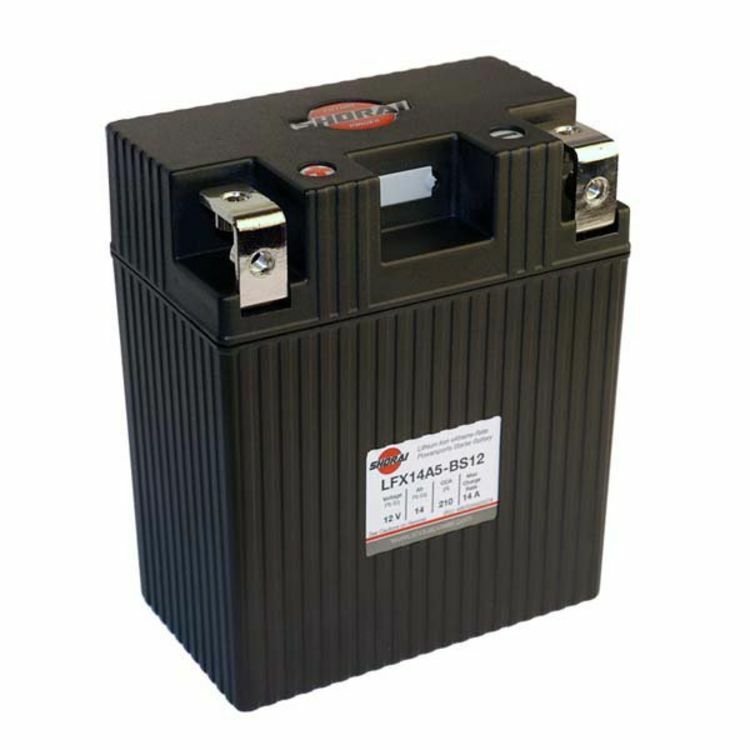 This is the heavy duty LFX14A5-BS12 battery. It offers an incredible 210 C.C.A., and the Lead-Acid Equivalent of 14 amp hours. It weighs in at only 2.27 pounds and yet still has the power to spin over even the most stubborn engines. Not only does this battery offer incredible advantaged over the lead-acid battery in weight, but also in physical size. This battery will effectively take the place of a YTX14AH in power, but it is not larger than a YT12C battery. Do you own the LFX14A5-BS12? Please, tell us what you think about it. It helps us provide you with better products. Please note that it may take up to 72 hours for your review to appear. Pros: The battery works great, easy installation. I expect long term trouble free service. Pros: Best ATV battery for my Polaris Sportsman 300. No failure to date especially in cold weather. No recharge to date. This battery should be standard equipment in ALL current ATV's. AN EXCELLENT PRODUCT!